Houston turned out to celebrate the Lunar New Year at the Chinese Community Center. Despite the light rain showers this morning, a colorful and festive celebration to welcome the Year of the Dog went on from 10 a.m. to 4 p.m. today, Saturday. Thousands came out to see the traditional Lion and Dragon dances, cultural performances, munch on Chinese and Asian food, try the arts and crafts and visit the many booths and displays in the outdoor festival. Children and parents also visited the game booths with prizes. The CCC celebration also invited Houston’s VIP’s to attend. 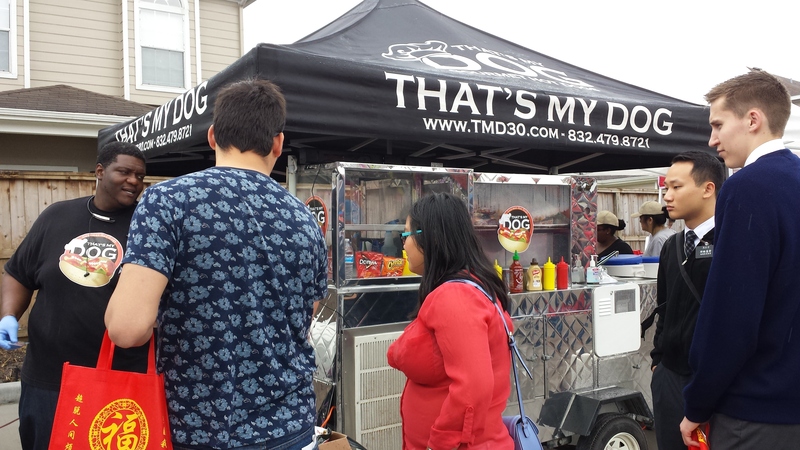 The traditional Chinese, Vietnamese and some Asian fusion food were here at the Lunar New Year festival. 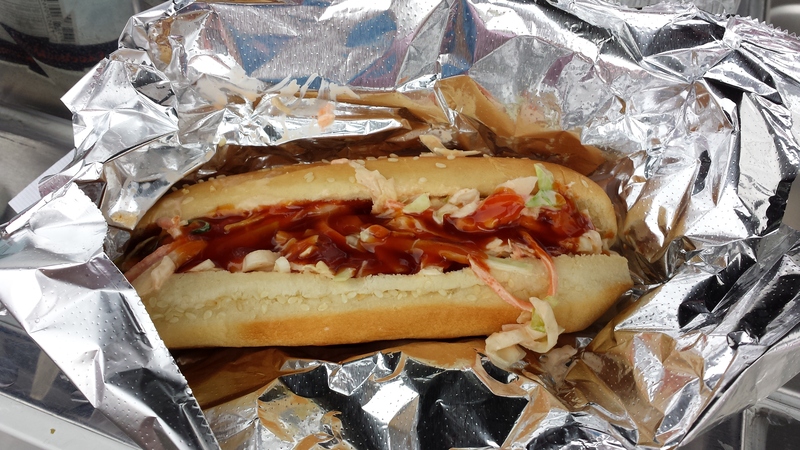 That’s My Dog booth served an American hot dog with mild or hot Srirachi sauce. Below a slide show of the celebration this morning. The weather improved with sunshine this afternoon for the Lunar New Year party. 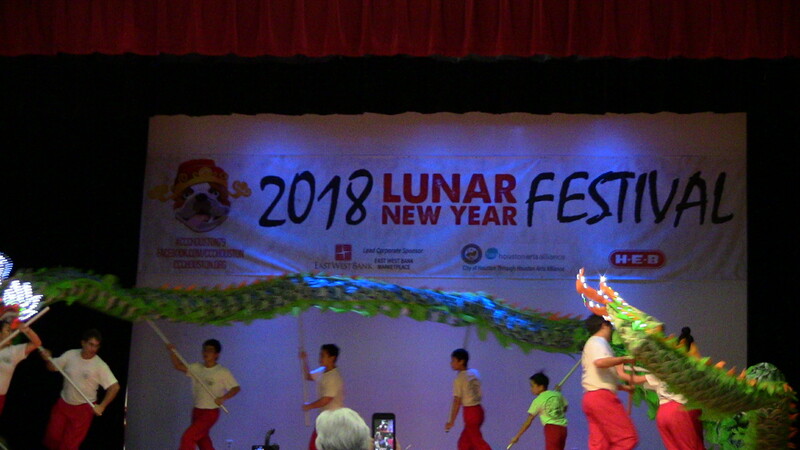 This entry was posted in Asian Community, Asian Community Houston, Asian Community News, Celebrating Holidays, Celebrations and tagged Chinese Community Center Houston Lunar New Year Celebration 2018, Lunar New Year Houston 2018. Bookmark the permalink.